Low mileage should be at the top of your checklist on your hunt for the perfect used car for your needs, as it signifies less wear and tear, a healthier transmission, and better resale value than other vehicles around Frisco. If you’ve been on the hunt for the best pricing on low mileage used cars for sale in Plano, TX, your search ends at Mercedes-Benz of Plano’s diverse lot and competitive finance department. *** BRAKE ASSIST ***, *** STABILITY CONTROL ***, *** REAR BACK UP CAMERA ***, *** LEATHER SEATS ***, *** MEMORY SEAT ***, 17" Split 5-Spoke Wheels, Rear-View Camera. Recent Arrival! CARFAX One-Owner. Odometer is 9828 miles below market average! 2016 Mercedes-Benz C-Class 4D Sedan Black C 300 25/34 City/Highway MPG 2.0L I4 Turbocharged 7G-TRONIC PLUS 7-Speed Automatic RWD Call us today to schedule a hassle free test drive! We are located at 6455 Dallas Parkway, Plano, Texas 75024. Visit us online at www.mbplano.com. We offer free airport pickup. We can help facilitate low cost shipping directly to your door. Come see how easy it is to do business with the Ewing Automotive Group. Call us today to schedule a hassle free test drive! We are located at 6455 Dallas Parkway, Plano, Texas 75024. Visit us online at www.mbplano.com. We offer free airport pickup. We can help facilitate low cost shipping directly to your door. Come see how easy it is to do business with the Ewing Automotive Group. Reviews: * Broad range of engine choices; quiet, upscale and well-built interior with a roomy backseat; long list of standard safety and technology features. Source: Edmunds*** BRAKE ASSIST ***, *** STABILITY CONTROL ***, *** REAR BACK UP CAMERA ***, *** LEATHER SEATS ***, *** MEMORY SEAT ***, 17" Split 5-Spoke Wheels, Rear-View Camera. *** BRAKE ASSIST ***, *** STABILITY CONTROL ***, *** REAR BACK UP CAMERA ***, 2 Additional Master Keys, 4.2" Pixel Matrix Display, Air Conditioning Enhanced Power, Automatic Climate Control, Comfort Driver's Seat, Comfort Passenger's Seat, Comfort Suspension, Driver Comfort Package, Driver Seat Backrest Storage Net, Driver Seat Lumbar Support, Driver Side Electric Sliding Door, Electrical Sliding Door Package, Enhanced AC Package, Leather Rim Steering Wheel w/Chrome Trim, Multifunction Steering Wheel w/Trip Computer, Multi-Function Steering/Premium Display Package, Passenger Seat Backrest Storage Net, Passenger Seat Lumbar Support, Passenger Side Electric Sliding Door. Clean CARFAX. Odometer is 5607 miles below market average! 2018 Mercedes-Benz Metris 4D Passenger Van Obsidian Black Passenger 2.0L 4-Cylinder Turbocharged DOHC 7G-TRONIC 7-Speed Automatic RWD Call us today to schedule a hassle free test drive! We are located at 6455 Dallas Parkway, Plano, Texas 75024. Visit us online at www.mbplano.com. We offer free airport pickup. We can help facilitate low cost shipping directly to your door. Come see how easy it is to do business with the Ewing Automotive Group. Call us today to schedule a hassle free test drive! We are located at 6455 Dallas Parkway, Plano, Texas 75024. Visit us online at www.mbplano.com. We offer free airport pickup. We can help facilitate low cost shipping directly to your door. Come see how easy it is to do business with the Ewing Automotive Group. *** BRAKE ASSIST ***, *** STABILITY CONTROL ***, *** REAR BACK UP CAMERA ***, 2 Additional Master Keys, 4.2" Pixel Matrix Display, Air Conditioning Enhanced Power, Automatic Climate Control, Comfort Driver's Seat, Comfort Passenger's Seat, Comfort Suspension, Driver Comfort Package, Driver Seat Backrest Storage Net, Driver Seat Lumbar Support, Driver Side Electric Sliding Door, Electrical Sliding Door Package, Enhanced AC Package, Leather Rim Steering Wheel w/Chrome Trim, Multifunction Steering Wheel w/Trip Computer, Multi-Function Steering/Premium Display Package, Passenger Seat Backrest Storage Net, Passenger Seat Lumbar Support, Passenger Side Electric Sliding Door. *** BRAKE ASSIST ***, *** STABILITY CONTROL ***, *** REAR BACK UP CAMERA ***, 2 Additional Master Keys, 3-Button Key Fob, Air Conditioning Enhanced Power, Automatic Climate Control, Becker Map Pilot Navigation System, Buffer Battery For Start/Stop, Bumpers Painted In Vehicle Color, Comfort Driver's Seat, Comfort Passenger's Seat, Comfort Suspension, Cruise Control, Driver Comfort Package, Driver Efficiency Package, Driver Seat Backrest Storage Net, Driver Seat Lumbar Support, Driver Side Electric Sliding Door, ECO Start/Stop, Electrical Sliding Door Package, Enhanced AC Package, Fog Lamps, Front Carpeting, Front Footwell Lighting, Illuminated Vanity Mirrors, Interior Chrome Accents, Lower Console Storage Tray, Passenger Seat Backrest Storage Net, Passenger Seat Lumbar Support, Premium Exterior Package, Premium Interior Package, Premium Overhead Control Panel, Rear Carpeting, Rear Grab Handle Reading Lights, Rear-View Camera, Right Side Power Sliding Door, Roof Rails-Black, Wheels: 20-Spoke 7J x 17" Light Alloy. CARFAX One-Owner. Clean CARFAX. Odometer is 9170 miles below market average! 2017 Mercedes-Benz Metris 4D Passenger Van Brilliant Silver Metallic Passenger 2.0L I4 DI Turbocharged 7G-TRONIC 7-Speed Automatic RWD Call us today to schedule a hassle free test drive! We are located at 6455 Dallas Parkway, Plano, Texas 75024. Visit us online at www.mbplano.com. We offer free airport pickup. We can help facilitate low cost shipping directly to your door. Come see how easy it is to do business with the Ewing Automotive Group. Call us today to schedule a hassle free test drive! We are located at 6455 Dallas Parkway, Plano, Texas 75024. Visit us online at www.mbplano.com. We offer free airport pickup. We can help facilitate low cost shipping directly to your door. Come see how easy it is to do business with the Ewing Automotive Group. Reviews: * Elegant interior and exterior design; excellent balance between agile handling and a comfortable ride; abundant safety equipment that is better executed than most; fuel-efficient turbocharged engine. Source: Edmunds * Balance of comfort and performance makes it an appealing daily driver; solid fuel efficiency from the standard four-cylinder engine; plenty of room for adult-sized passengers in back; elegant design inside and out gives it a true luxury appearance. Source: Edmunds * Balance of comfort and performance makes it an appealing daily driver; solid fuel efficiency from the standard four-cylinder engine; plenty of room for adult-sized passengers in back; a long list of advanced safety features are available; elegant design inside and out gives it a true luxury appearance. Source: Edmunds*** BRAKE ASSIST ***, *** STABILITY CONTROL ***, *** REAR BACK UP CAMERA ***, 2 Additional Master Keys, 3-Button Key Fob, Air Conditioning Enhanced Power, Automatic Climate Control, Becker Map Pilot Navigation System, Buffer Battery For Start/Stop, Bumpers Painted In Vehicle Color, Comfort Driver's Seat, Comfort Passenger's Seat, Comfort Suspension, Cruise Control, Driver Comfort Package, Driver Efficiency Package, Driver Seat Backrest Storage Net, Driver Seat Lumbar Support, Driver Side Electric Sliding Door, ECO Start/Stop, Electrical Sliding Door Package, Enhanced AC Package, Fog Lamps, Front Carpeting, Front Footwell Lighting, Illuminated Vanity Mirrors, Interior Chrome Accents, Lower Console Storage Tray, Passenger Seat Backrest Storage Net, Passenger Seat Lumbar Support, Premium Exterior Package, Premium Interior Package, Premium Overhead Control Panel, Rear Carpeting, Rear Grab Handle Reading Lights, Rear-View Camera, Right Side Power Sliding Door, Roof Rails-Black, Wheels: 20-Spoke 7J x 17" Light Alloy. *** BRAKE ASSIST ***, *** STABILITY CONTROL ***, *** REAR BACK UP CAMERA ***, *** LEATHER SEATS ***, *** MEMORY SEAT ***, *** ALLOY WHEELS ***, 17" Split 5-Spoke Wheels, Rear-View Camera. Certified. CARFAX One-Owner. Clean CARFAX. Odometer is 11812 miles below market average! 2016 Mercedes-Benz C-Class 4D Sedan Polar White C 300 25/34 City/Highway MPG 2.0L I4 Turbocharged 7G-TRONIC PLUS 7-Speed Automatic RWD Mercedes-Benz Certified Pre-Owned Details: * Includes Trip Interruption Reimbursement and 7 days/500 miles Exchange Privilege * 165 Point Inspection * Limited Warranty: 12 Month/Unlimited Mile beginning after new car warranty expires or from certified purchase date * Vehicle History * Transferable Warranty * Warranty Deductible: $0 * Roadside Assistance Call us today to schedule a hassle free test drive! We are located at 6455 Dallas Parkway, Plano, Texas 75024. Visit us online at www.mbplano.com. We offer free airport pickup. We can help facilitate low cost shipping directly to your door. Come see how easy it is to do business with the Ewing Automotive Group. Call us today to schedule a hassle free test drive! We are located at 6455 Dallas Parkway, Plano, Texas 75024. Visit us online at www.mbplano.com. We offer free airport pickup. We can help facilitate low cost shipping directly to your door. Come see how easy it is to do business with the Ewing Automotive Group. Reviews: * Broad range of engine choices; quiet, upscale and well-built interior with a roomy backseat; long list of standard safety and technology features. Source: Edmunds*** BRAKE ASSIST ***, *** STABILITY CONTROL ***, *** REAR BACK UP CAMERA ***, *** LEATHER SEATS ***, *** MEMORY SEAT ***, *** ALLOY WHEELS ***, 17" Split 5-Spoke Wheels, Rear-View Camera. *** BRAKE ASSIST ***, *** STABILITY CONTROL ***, *** LEATHER SEATS ***, *** HEATED SEATS ***, *** NAVIGATION SYSTEM ***, *** AWD ***, *** SUNROOOF / MOONROOF ***, *** MEMORY SEAT ***, AMG® Body Styling, Auto-Dimming Mirrors, Compass, Diamond Grille w/Silver Pins, Garage Door Opener, harman/kardon® Sound System, Heated Front Seats, KEYLESS GO®, Navigation System, Night Package, Panorama Sunroof, Premium 1 Package, SiriusXM Satellite Radio, Sport Appearance Package, Sport Package, Wheels: 18" AMG® Multi-Spoke Black Finish Alloy. New Price! CARFAX One-Owner. Clean CARFAX. Odometer is 17779 miles below market average! 2016 Mercedes-Benz CLA 4D Sedan Cosmos Black Metallic CLA 250 24/33 City/Highway MPG 2.0L I4 Turbocharged 4MATIC®® 7-Speed Double-clutch 4MATIC®® Call us today to schedule a hassle free test drive! We are located at 6455 Dallas Parkway, Plano, Texas 75024. Visit us online at www.mbplano.com. We offer free airport pickup. We can help facilitate low cost shipping directly to your door. Come see how easy it is to do business with the Ewing Automotive Group. Call us today to schedule a hassle free test drive! We are located at 6455 Dallas Parkway, Plano, Texas 75024. Visit us online at www.mbplano.com. We offer free airport pickup. We can help facilitate low cost shipping directly to your door. Come see how easy it is to do business with the Ewing Automotive Group. Reviews: * Luxury-car status for a relatively affordable price; commendable power and handling; fiery performance from AMG® model. Source: Edmunds * Broad range of engine choices; quiet, upscale and well-built interior with a roomy backseat; long list of standard safety and technology features. Source: Edmunds*** BRAKE ASSIST ***, *** STABILITY CONTROL ***, *** LEATHER SEATS ***, *** HEATED SEATS ***, *** NAVIGATION SYSTEM ***, *** AWD ***, *** SUNROOOF / MOONROOF ***, *** MEMORY SEAT ***, AMG® Body Styling, Auto-Dimming Mirrors, Compass, Diamond Grille w/Silver Pins, Garage Door Opener, harman/kardon® Sound System, Heated Front Seats, KEYLESS GO®, Navigation System, Night Package, Panorama Sunroof, Premium 1 Package, SiriusXM Satellite Radio, Sport Appearance Package, Sport Package, Wheels: 18" AMG® Multi-Spoke Black Finish Alloy. *** BRAKE ASSIST ***, *** STABILITY CONTROL ***, *** REAR BACK UP CAMERA ***, *** LEATHER SEATS ***, *** HEATED SEATS ***, *** SUNROOOF / MOONROOF ***, *** MEMORY SEAT ***, 18" 5-Spoke Wheels, Blind Spot Assist, COMAND® Navigation & Voice Control, Electronic Trunk Closer, Hands-Free Access Package, Hands-Free Trunk Access, Illuminated Star, KEYLESS GO®, Multimedia Package, Navigation Map Updates Included For 3 Years, Panorama Sunroof, Premium 1 Package, Rear-View Camera, SiriusXM Satellite Radio, SiriusXM Traffic and Weather Services, Surround Light Mirror Mounted Entry Lamps. Certified. CARFAX One-Owner. Clean CARFAX. Odometer is 9818 miles below market average! 2016 Mercedes-Benz C-Class 4D Sedan Palladium Silver Metallic C 300 25/34 City/Highway MPG 2.0L I4 Turbocharged Sport 7G-TRONIC PLUS 7-Speed Automatic RWD Mercedes-Benz Certified Pre-Owned Details: * 165 Point Inspection * Roadside Assistance * Transferable Warranty * Limited Warranty: 12 Month/Unlimited Mile beginning after new car warranty expires or from certified purchase date * Vehicle History * Includes Trip Interruption Reimbursement and 7 days/500 miles Exchange Privilege * Warranty Deductible: $0 Call us today to schedule a hassle free test drive! We are located at 6455 Dallas Parkway, Plano, Texas 75024. Visit us online at www.mbplano.com. We offer free airport pickup. We can help facilitate low cost shipping directly to your door. Come see how easy it is to do business with the Ewing Automotive Group. Call us today to schedule a hassle free test drive! We are located at 6455 Dallas Parkway, Plano, Texas 75024. Visit us online at www.mbplano.com. We offer free airport pickup. We can help facilitate low cost shipping directly to your door. Come see how easy it is to do business with the Ewing Automotive Group. Reviews: * Broad range of engine choices; quiet, upscale and well-built interior with a roomy backseat; long list of standard safety and technology features. Source: Edmunds*** BRAKE ASSIST ***, *** STABILITY CONTROL ***, *** REAR BACK UP CAMERA ***, *** LEATHER SEATS ***, *** HEATED SEATS ***, *** SUNROOOF / MOONROOF ***, *** MEMORY SEAT ***, 18" 5-Spoke Wheels, Blind Spot Assist, COMAND® Navigation & Voice Control, Electronic Trunk Closer, Hands-Free Access Package, Hands-Free Trunk Access, Illuminated Star, KEYLESS GO®, Multimedia Package, Navigation Map Updates Included For 3 Years, Panorama Sunroof, Premium 1 Package, Rear-View Camera, SiriusXM Satellite Radio, SiriusXM Traffic and Weather Services, Surround Light Mirror Mounted Entry Lamps. *** BRAKE ASSIST ***, *** STABILITY CONTROL ***, *** REAR BACK UP CAMERA ***, *** LEATHER SEATS ***, *** HEATED SEATS ***, *** SUNROOOF / MOONROOF ***, *** MEMORY SEAT ***, Alloy wheels, Blind Spot Assist, COMAND® Navigation, Control Code, Electronic Trunk Closer, Hands-Free Access, harman/kardon®® Logic 7® Surround Sound System, Heated Front Seats, KEYLESS GO Package, KEYLESS GO®, Lane Keeping Assist, Lane Keeping Assist Package Code, Lane Tracking Package, Mirror Package, Multi-Year Update, Power Folding Mirrors, Power Rear Window Sunshade, Premium Package, Rear-View Camera, SIRIUS Satellite Radio, Split-Folding Rear Seats, Sport Package. Recent Arrival! CARFAX One-Owner. Clean CARFAX. 2016 Mercedes-Benz E-Class 4D Sedan Black E 350 20/29 City/Highway MPG 3.5L 6-Cylinder DOHC 7-Speed Automatic RWD Call us today to schedule a hassle free test drive! We are located at 6455 Dallas Parkway, Plano, Texas 75024. Visit us online at www.mbplano.com. We offer free airport pickup. We can help facilitate low cost shipping directly to your door. Come see how easy it is to do business with the Ewing Automotive Group. Call us today to schedule a hassle free test drive! We are located at 6455 Dallas Parkway, Plano, Texas 75024. Visit us online at www.mbplano.com. We offer free airport pickup. We can help facilitate low cost shipping directly to your door. Come see how easy it is to do business with the Ewing Automotive Group. Reviews: * Broad range of engine choices; quiet, upscale and well-built interior with a roomy backseat; long list of standard safety and technology features. Source: Edmunds*** BRAKE ASSIST ***, *** STABILITY CONTROL ***, *** REAR BACK UP CAMERA ***, *** LEATHER SEATS ***, *** HEATED SEATS ***, *** SUNROOOF / MOONROOF ***, *** MEMORY SEAT ***, Alloy wheels, Blind Spot Assist, COMAND® Navigation, Control Code, Electronic Trunk Closer, Hands-Free Access, harman/kardon®® Logic 7® Surround Sound System, Heated Front Seats, KEYLESS GO Package, KEYLESS GO®, Lane Keeping Assist, Lane Keeping Assist Package Code, Lane Tracking Package, Mirror Package, Multi-Year Update, Power Folding Mirrors, Power Rear Window Sunshade, Premium Package, Rear-View Camera, SIRIUS Satellite Radio, Split-Folding Rear Seats, Sport Package. *** BRAKE ASSIST ***, *** STABILITY CONTROL ***, *** REAR BACK UP CAMERA ***, *** LEATHER SEATS ***, *** HEATED SEATS ***, *** SUNROOOF / MOONROOF ***, *** MEMORY SEAT ***, Heated Front Seats, Panorama Sunroof. Certified. CARFAX One-Owner. Clean CARFAX. Odometer is 19285 miles below market average! 2016 Mercedes-Benz GLA 4D Sport Utility Jupiter Red GLA 250 24/32 City/Highway MPG 2.0L I4 DI Turbocharged 4MATIC®® 7-Speed Automatic 4MATIC®® Mercedes-Benz Certified Pre-Owned Details: * Transferable Warranty * Includes Trip Interruption Reimbursement and 7 days/500 miles Exchange Privilege * Vehicle History * Roadside Assistance * 165 Point Inspection * Limited Warranty: 12 Month/Unlimited Mile beginning after new car warranty expires or from certified purchase date * Warranty Deductible: $0 Call us today to schedule a hassle free test drive! We are located at 6455 Dallas Parkway, Plano, Texas 75024. Visit us online at www.mbplano.com. We offer free airport pickup. We can help facilitate low cost shipping directly to your door. Come see how easy it is to do business with the Ewing Automotive Group. Call us today to schedule a hassle free test drive! We are located at 6455 Dallas Parkway, Plano, Texas 75024. Visit us online at www.mbplano.com. We offer free airport pickup. We can help facilitate low cost shipping directly to your door. Come see how easy it is to do business with the Ewing Automotive Group. Reviews: * Sporty handling and performance from base model; stunning performance from AMG® version; ample safety features. Source: Edmunds * Broad range of engine choices; quiet, upscale and well-built interior with a roomy backseat; long list of standard safety and technology features. Source: Edmunds*** BRAKE ASSIST ***, *** STABILITY CONTROL ***, *** REAR BACK UP CAMERA ***, *** LEATHER SEATS ***, *** HEATED SEATS ***, *** SUNROOOF / MOONROOF ***, *** MEMORY SEAT ***, Heated Front Seats, Panorama Sunroof. *** BRAKE ASSIST ***, *** STABILITY CONTROL ***, *** REAR BACK UP CAMERA ***, *** LEATHER SEATS ***, *** HEATED SEATS ***, *** MEMORY SEAT ***, AMG Line Exterior, AMG® Body Styling, Auto-Dimming Rearview & Driver-Side Mirrors, Black Headliner, Blind Spot Assist, Compass, Convenience Package, Garage Door Opener, HANDS-FREE ACCESS, Heated Front Seats, KEYLESS GO®, Night Package, Premium Package, Roof Rails w/Gloss Black Finish, SIRIUSXM Satellite Radio, Wheels: 19" AMG® Multi-Spoke. Clean CARFAX. 2018 Mercedes-Benz GLA 4D Sport Utility Kryptonite Green Metallic GLA 250 24/33 City/Highway MPG 2.0L I4 DI Turbocharged 7-Speed Automatic FWD Call us today to schedule a hassle free test drive! We are located at 6455 Dallas Parkway, Plano, Texas 75024. Visit us online at www.mbplano.com. We offer free airport pickup. We can help facilitate low cost shipping directly to your door. Come see how easy it is to do business with the Ewing Automotive Group. Call us today to schedule a hassle free test drive! We are located at 6455 Dallas Parkway, Plano, Texas 75024. Visit us online at www.mbplano.com. We offer free airport pickup. We can help facilitate low cost shipping directly to your door. Come see how easy it is to do business with the Ewing Automotive Group. Awards: * JD Power Initial Quality Study (IQS)*** BRAKE ASSIST ***, *** STABILITY CONTROL ***, *** REAR BACK UP CAMERA ***, *** LEATHER SEATS ***, *** HEATED SEATS ***, *** MEMORY SEAT ***, AMG Line Exterior, AMG® Body Styling, Auto-Dimming Rearview & Driver-Side Mirrors, Black Headliner, Blind Spot Assist, Compass, Convenience Package, Garage Door Opener, HANDS-FREE ACCESS, Heated Front Seats, KEYLESS GO®, Night Package, Premium Package, Roof Rails w/Gloss Black Finish, SIRIUSXM Satellite Radio, Wheels: 19" AMG® Multi-Spoke. *** BRAKE ASSIST ***, *** STABILITY CONTROL ***, *** REAR BACK UP CAMERA ***, *** HEATED SEATS ***, *** SUNROOOF / MOONROOF ***, *** MEMORY SEAT ***, *** ALLOY WHEELS ***, 18" AMG® Wheels, COMAND® Navigation, harman/kardon®® Logic 7® Surround Sound System, Heated Front Seats, Mirror Package, Multi-Year Update, Power Folding Mirrors, Power Rear Window Sunshade, Premium Package, Rear-View Camera, SIRIUS Satellite Radio, Split-Folding Rear Seats, Sport Package. CARFAX One-Owner. Clean CARFAX. Odometer is 5603 miles below market average! 2016 Mercedes-Benz E-Class 4D Sedan Black E 350 20/29 City/Highway MPG 3.5L 6-Cylinder DOHC Sport 7-Speed Automatic RWD Call us today to schedule a hassle free test drive! We are located at 6455 Dallas Parkway, Plano, Texas 75024. Visit us online at www.mbplano.com. We offer free airport pickup. We can help facilitate low cost shipping directly to your door. Come see how easy it is to do business with the Ewing Automotive Group. Call us today to schedule a hassle free test drive! We are located at 6455 Dallas Parkway, Plano, Texas 75024. Visit us online at www.mbplano.com. We offer free airport pickup. We can help facilitate low cost shipping directly to your door. Come see how easy it is to do business with the Ewing Automotive Group. Reviews: * Broad range of engine choices; quiet, upscale and well-built interior with a roomy backseat; long list of standard safety and technology features. Source: Edmunds*** BRAKE ASSIST ***, *** STABILITY CONTROL ***, *** REAR BACK UP CAMERA ***, *** HEATED SEATS ***, *** SUNROOOF / MOONROOF ***, *** MEMORY SEAT ***, *** ALLOY WHEELS ***, 18" AMG® Wheels, COMAND® Navigation, harman/kardon®® Logic 7® Surround Sound System, Heated Front Seats, Mirror Package, Multi-Year Update, Power Folding Mirrors, Power Rear Window Sunshade, Premium Package, Rear-View Camera, SIRIUS Satellite Radio, Split-Folding Rear Seats, Sport Package. *** BRAKE ASSIST ***, *** STABILITY CONTROL ***, *** LEATHER SEATS ***, *** HEATED SEATS ***, *** NAVIGATION SYSTEM ***, *** SUNROOOF / MOONROOF ***, *** MEMORY SEAT ***, Adaptive Highbeam Assist, AIRSCARF®® Neck-Level Heating System, Bi-Xenon Headlamps, Convertible HardTop, harman/kardon®® Logic 7® Digital Surround, Heated Seats, IR Remote Roof Automation, Lighting Package, Media Interface Cables, MP3 Media Interface, Multimedia Package, Navigation System, Premium Package, Radio: COMAND®® System w/Hard Drive Navigation, SIRIUS Satellite Radio. Recent Arrival! Clean CARFAX. Odometer is 6061 miles below market average! 2015 Mercedes-Benz SLK 2D Convertible Polar White SLK 250 1.8L I4 Turbo Carbon Edition 7G-TRONIC PLUS 7-Speed Automatic RWD Call us today to schedule a hassle free test drive! We are located at 6455 Dallas Parkway, Plano, Texas 75024. Visit us online at www.mbplano.com. We offer free airport pickup. We can help facilitate low cost shipping directly to your door. Come see how easy it is to do business with the Ewing Automotive Group. Call us today to schedule a hassle free test drive! We are located at 6455 Dallas Parkway, Plano, Texas 75024. Visit us online at www.mbplano.com. We offer free airport pickup. We can help facilitate low cost shipping directly to your door. Come see how easy it is to do business with the Ewing Automotive Group. Reviews: * If you want a premium roadster with a hardtop roof that protects against the elements and offers a supple ride that coddles on your daily commute, it's hard to beat the 2015 Mercedes SLK. If you're a fan of manual transmissions, the SLK 250 is the only new Mercedes to offer one. Source: KBB.com * Comprehensive equipment roster; nifty retractable glass roof panel; powerful yet fuel-efficient engines; high-quality cabin; relatively large trunk. Source: Edmunds * The body of the SLK-Class is shaped by its rich racing heritage and its broad shoulders and athletic stance ignite immediate passion for the open road. The body rests on alloy wheels which feature five thin, tapered spokes with a luminous silver finish. Staggered in width, the rear wheels and high-performance tires are wider than the fronts, for greater acceleration grip without sacrificing crisp steering feedback. A retractable hardtop folds into the trunk with just a single push of a button. Aluminum trim on the console and doors adds to the modern style and performance feel. The thick, leather-wrapped steering wheel features a racing-inspired flat-bottom design. Plus, the steering wheel has buttons which allow you to control the audio interface and make calls via your Bluetooth® enabled phone. The Cockpit Management and Data (COMAND®) system features a high-resolution color-LCD display. This is utilized to manage audio, video, and other hands free calling and navigation functions. Direct-steer automatically varies the steering ratio based on how far you turn the steering wheel. The sport suspension allows for a sharper handling response and a more aggressive stance. Various engines are available per package level to suit your needs. Powerful 4-wheel disc brakes give you the stopping power you need. Driver and passenger knee air bags supplement the dual-stage front air bags. The NECK PRO® head restraints protect you in the event of a rear impact exceeding a preset threshold. Finally, the Electronic Stability Program detects wheelspin, severe understeer, or oversteer. ESP® can brake individual wheels and reduce engine power to help bring the vehicle under control. Source: The Manufacturer Summary*** BRAKE ASSIST ***, *** STABILITY CONTROL ***, *** LEATHER SEATS ***, *** HEATED SEATS ***, *** NAVIGATION SYSTEM ***, *** SUNROOOF / MOONROOF ***, *** MEMORY SEAT ***, Adaptive Highbeam Assist, AIRSCARF®® Neck-Level Heating System, Bi-Xenon Headlamps, Convertible HardTop, harman/kardon®® Logic 7® Digital Surround, Heated Seats, IR Remote Roof Automation, Lighting Package, Media Interface Cables, MP3 Media Interface, Multimedia Package, Navigation System, Premium Package, Radio: COMAND®® System w/Hard Drive Navigation, SIRIUS Satellite Radio. *** BRAKE ASSIST ***, *** STABILITY CONTROL ***, *** LEATHER SEATS ***, *** HEATED SEATS ***, *** SUNROOOF / MOONROOF ***, *** MEMORY SEAT ***, 18" AMG® Wheels, Adaptive Highbeam Assist, Blind Spot Assist, COMAND® Navigation, Control Code, Electronic Trunk Closer, Full-LED Headlamps w/Active Curve Illumination, Hands-Free Access, harman/kardon®® Logic 7® Surround Sound System, Heated Front Seats, KEYLESS GO Package, KEYLESS GO®, Lane Keeping Assist, Lane Keeping Assist Package Code, Lane Tracking Package, Lighting Package, Mirror Package, Multi-Year Update, Parking Assist Package, PARKTRONIC w/Active Parking Assist, Power Folding Mirrors, Power Rear Window Sunshade, Power Tilt/Sliding Panorama Sunroof, Premium Package, SIRIUS Satellite Radio, Split-Folding Rear Seats, Sport Package. CARFAX One-Owner. Clean CARFAX. Odometer is 17622 miles below market average! 2016 Mercedes-Benz E-Class 4D Sedan Indigo Blue Metallic E 350 20/29 City/Highway MPG 3.5L 6-Cylinder DOHC Sport 7-Speed Automatic RWD Call us today to schedule a hassle free test drive! We are located at 6455 Dallas Parkway, Plano, Texas 75024. Visit us online at www.mbplano.com. We offer free airport pickup. We can help facilitate low cost shipping directly to your door. Come see how easy it is to do business with the Ewing Automotive Group. Call us today to schedule a hassle free test drive! We are located at 6455 Dallas Parkway, Plano, Texas 75024. Visit us online at www.mbplano.com. We offer free airport pickup. We can help facilitate low cost shipping directly to your door. Come see how easy it is to do business with the Ewing Automotive Group. Reviews: * Broad range of engine choices; quiet, upscale and well-built interior with a roomy backseat; long list of standard safety and technology features. Source: Edmunds*** BRAKE ASSIST ***, *** STABILITY CONTROL ***, *** LEATHER SEATS ***, *** HEATED SEATS ***, *** SUNROOOF / MOONROOF ***, *** MEMORY SEAT ***, 18" AMG® Wheels, Adaptive Highbeam Assist, Blind Spot Assist, COMAND® Navigation, Control Code, Electronic Trunk Closer, Full-LED Headlamps w/Active Curve Illumination, Hands-Free Access, harman/kardon®® Logic 7® Surround Sound System, Heated Front Seats, KEYLESS GO Package, KEYLESS GO®, Lane Keeping Assist, Lane Keeping Assist Package Code, Lane Tracking Package, Lighting Package, Mirror Package, Multi-Year Update, Parking Assist Package, PARKTRONIC w/Active Parking Assist, Power Folding Mirrors, Power Rear Window Sunshade, Power Tilt/Sliding Panorama Sunroof, Premium Package, SIRIUS Satellite Radio, Split-Folding Rear Seats, Sport Package. *** BRAKE ASSIST ***, *** STABILITY CONTROL ***, *** REAR BACK UP CAMERA ***, *** LEATHER SEATS ***, *** HEATED SEATS ***, *** NAVIGATION SYSTEM ***, *** SUNROOOF / MOONROOF ***, *** MEMORY SEAT ***, COMAND® Navigation, harman/kardon®® Logic 7® Surround Sound System, Heated Front Seats, Mirror Package, Multi-Year Update, Power Folding Mirrors, Power Rear Window Sunshade, Premium Package, Rear-View Camera, SIRIUS Satellite Radio, Split-Folding Rear Seats, Sport Package. Recent Arrival! CARFAX One-Owner. Clean CARFAX. Odometer is 7793 miles below market average! 2016 Mercedes-Benz E-Class 4D Sedan Polar White E 350 20/29 City/Highway MPG 3.5L 6-Cylinder DOHC Sport 7-Speed Automatic RWD Call us today to schedule a hassle free test drive! We are located at 6455 Dallas Parkway, Plano, Texas 75024. Visit us online at www.mbplano.com. We offer free airport pickup. We can help facilitate low cost shipping directly to your door. Come see how easy it is to do business with the Ewing Automotive Group. Call us today to schedule a hassle free test drive! We are located at 6455 Dallas Parkway, Plano, Texas 75024. Visit us online at www.mbplano.com. We offer free airport pickup. We can help facilitate low cost shipping directly to your door. Come see how easy it is to do business with the Ewing Automotive Group. Reviews: * Broad range of engine choices; quiet, upscale and well-built interior with a roomy backseat; long list of standard safety and technology features. Source: Edmunds*** BRAKE ASSIST ***, *** STABILITY CONTROL ***, *** REAR BACK UP CAMERA ***, *** LEATHER SEATS ***, *** HEATED SEATS ***, *** NAVIGATION SYSTEM ***, *** SUNROOOF / MOONROOF ***, *** MEMORY SEAT ***, COMAND® Navigation, harman/kardon®® Logic 7® Surround Sound System, Heated Front Seats, Mirror Package, Multi-Year Update, Power Folding Mirrors, Power Rear Window Sunshade, Premium Package, Rear-View Camera, SIRIUS Satellite Radio, Split-Folding Rear Seats, Sport Package. *** BRAKE ASSIST ***, *** STABILITY CONTROL ***, *** REAR BACK UP CAMERA ***, *** LEATHER SEATS ***, *** HEATED SEATS ***, *** MEMORY SEAT ***, 115V AC Power Outlet, 18" 5-Spoke Alloy Wheels, Entrance Lamps In Doors, Exterior Parking Camera Rear, Heated Front Seats, KEYLESS GO®, Premium Package, SiriusXM Satellite Radio. CARFAX One-Owner. Clean CARFAX. Odometer is 16945 miles below market average! 2016 Mercedes-Benz GLC 4D Sport Utility Black GLC 300 22/28 City/Highway MPG 2.0L Turbocharged 9-Speed Automatic RWD Call us today to schedule a hassle free test drive! We are located at 6455 Dallas Parkway, Plano, Texas 75024. Visit us online at www.mbplano.com. We offer free airport pickup. We can help facilitate low cost shipping directly to your door. Come see how easy it is to do business with the Ewing Automotive Group. Call us today to schedule a hassle free test drive! We are located at 6455 Dallas Parkway, Plano, Texas 75024. Visit us online at www.mbplano.com. We offer free airport pickup. We can help facilitate low cost shipping directly to your door. Come see how easy it is to do business with the Ewing Automotive Group. Awards: * JD Power Vehicle Dependability Study Reviews: * Elegant interior and exterior design; excellent balance of performance and comfort; abundant safety equipment even for this segment; generous, family-friendly backseat space; fuel-efficient turbocharged engine. Source: Edmunds * Broad range of engine choices; quiet, upscale and well-built interior with a roomy backseat; long list of standard safety and technology features. Source: Edmunds*** BRAKE ASSIST ***, *** STABILITY CONTROL ***, *** REAR BACK UP CAMERA ***, *** LEATHER SEATS ***, *** HEATED SEATS ***, *** MEMORY SEAT ***, 115V AC Power Outlet, 18" 5-Spoke Alloy Wheels, Entrance Lamps In Doors, Exterior Parking Camera Rear, Heated Front Seats, KEYLESS GO®, Premium Package, SiriusXM Satellite Radio. *** BRAKE ASSIST ***, *** STABILITY CONTROL ***, *** REAR BACK UP CAMERA ***, *** LEATHER SEATS ***, *** SUNROOOF / MOONROOF ***, *** MEMORY SEAT ***, Panorama Sunroof, Wheels: 19" 5-Twin-Spoke, Matte Black. Recent Arrival! CARFAX One-Owner. Clean CARFAX. 2018 Mercedes-Benz GLA 4D Sport Utility Night Black GLA 250 24/33 City/Highway MPG 2.0L I4 DI Turbocharged 7-Speed Automatic FWD Call us today to schedule a hassle free test drive! We are located at 6455 Dallas Parkway, Plano, Texas 75024. Visit us online at www.mbplano.com. We offer free airport pickup. We can help facilitate low cost shipping directly to your door. Come see how easy it is to do business with the Ewing Automotive Group. Call us today to schedule a hassle free test drive! We are located at 6455 Dallas Parkway, Plano, Texas 75024. Visit us online at www.mbplano.com. We offer free airport pickup. We can help facilitate low cost shipping directly to your door. Come see how easy it is to do business with the Ewing Automotive Group. Awards: * JD Power Initial Quality Study (IQS)*** BRAKE ASSIST ***, *** STABILITY CONTROL ***, *** REAR BACK UP CAMERA ***, *** LEATHER SEATS ***, *** SUNROOOF / MOONROOF ***, *** MEMORY SEAT ***, Panorama Sunroof, Wheels: 19" 5-Twin-Spoke, Matte Black. *** BRAKE ASSIST ***, *** STABILITY CONTROL ***, *** REAR BACK UP CAMERA ***, *** LEATHER SEATS ***, *** SUNROOOF / MOONROOF ***, *** MEMORY SEAT ***, 115V AC Power Outlet, 18" 5-Spoke Wheels, Advanced Parking Assistance Package, Blind Spot Assist, Exterior Parking Camera Rear, HANDS-FREE ACCESS, HANDS-FREE Comfort Package, Illuminated Star, KEYLESS GO®, Parking Package, PARKTRONIC w/Active Parking Assist, Premium Package, SiriusXM Satellite Radio, Surround View Camera System. Certified. Clean CARFAX. 2018 Mercedes-Benz GLC 4D Sport Utility Selenite Gray Metallic GLC 300 22/28 City/Highway MPG 2.0L Turbocharged 9-Speed Automatic RWD Mercedes-Benz Certified Pre-Owned Details: * Limited Warranty: 12 Month/Unlimited Mile beginning after new car warranty expires or from certified purchase date * 165 Point Inspection * Warranty Deductible: $0 * Vehicle History * Transferable Warranty * Roadside Assistance * Includes Trip Interruption Reimbursement and 7 days/500 miles Exchange Privilege Call us today to schedule a hassle free test drive! We are located at 6455 Dallas Parkway, Plano, Texas 75024. Visit us online at www.mbplano.com. We offer free airport pickup. We can help facilitate low cost shipping directly to your door. Come see how easy it is to do business with the Ewing Automotive Group. Call us today to schedule a hassle free test drive! We are located at 6455 Dallas Parkway, Plano, Texas 75024. Visit us online at www.mbplano.com. We offer free airport pickup. We can help facilitate low cost shipping directly to your door. Come see how easy it is to do business with the Ewing Automotive Group. *** BRAKE ASSIST ***, *** STABILITY CONTROL ***, *** REAR BACK UP CAMERA ***, *** LEATHER SEATS ***, *** SUNROOOF / MOONROOF ***, *** MEMORY SEAT ***, 115V AC Power Outlet, 18" 5-Spoke Wheels, Advanced Parking Assistance Package, Blind Spot Assist, Exterior Parking Camera Rear, HANDS-FREE ACCESS, HANDS-FREE Comfort Package, Illuminated Star, KEYLESS GO®, Parking Package, PARKTRONIC w/Active Parking Assist, Premium Package, SiriusXM Satellite Radio, Surround View Camera System. Selection: We offer a vast lot of used cars under 20k that have been thoroughly inspected—many of which have surprisingly low mileage despite their low price. These are only a few of the reasons to shop with us. Find out about all the perks we can offer you and set-up your test-drive by contacting us today. 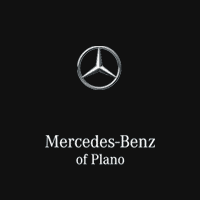 We look forward to showing you the Mercedes-Benz of Plano difference.